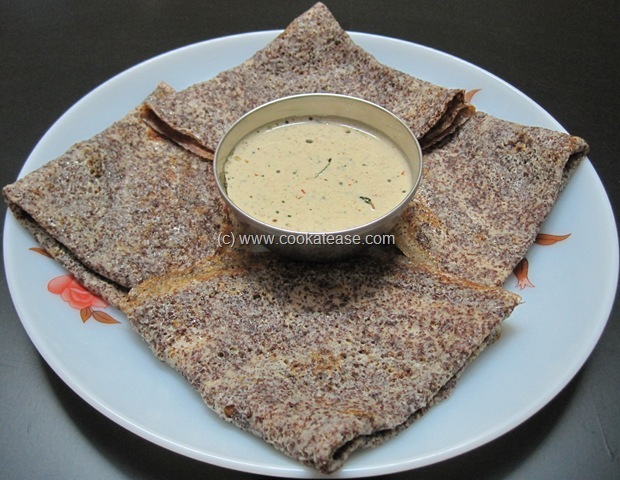 Ragi can be used to prepare idli, dosa, puttu, kali etc., Here is healthy, crisp, thin Sprouted Ragi (Finger Millet) Dosa for those who want to avoid rice based dosa. 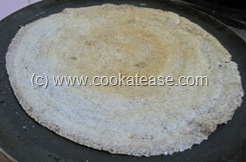 Heat a non-stick pan or normal dosa pan and grease it lightly when warm; pour the batter and spread it as thin as possible; apply light oil on the periphery. Keep for 1 minute in low flame; turn and cook the other side also; repeat this for remaining batter. 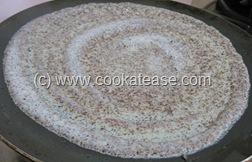 Crisp, thin sprouted ragi dosa is ready. Serve hot with any chutney or sambar. 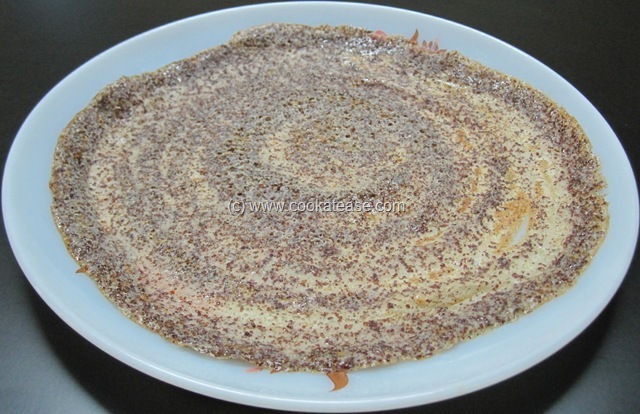 This dosa can be prepared without sprouting ragi but has to be fermented. never tried ragi dosa but looks delicious and healthier than the regular dosa. Wow, this is something very unique and healthy. I don’t cook too much with ragi, but I like your idea of using sprouted ragi. First time here, I also like your dahi baingan. Healthy breakfast! 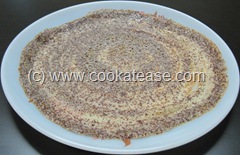 i would love this dosa with pickles..slurpp! I tried your recepe,But it tasted bland..Is that I have missed something or is there anything that can make it sour or spicy? Dosa (தோசை) will be bland only. This will not be spicy like Adai (அடை). You make it spicy with a suitable chutney as side dish. Today I tried again,it came out well,I think it was not fermented yesterday,Thanks for sharing.